Moët & Chandon’s winemakers strive to design Moët Impérial in the image of the Champagne region, honouring the exceptional product of its terroir. As such, Moët Impérial has always been a well-balanced blend that reflects the richness and diversity of the region’s vineyards. This rich and varied raw material comes from the House’s own 1,200 hectares of vines, the largest vineyards in Champagne. “We believe in customised, adaptable oenology with minimum intervention in order to preserve the natural diversity of the grapes, vineyards and vintages; we do not force nature, we guide her,” explains Benoît Gouez, Moët & Chandon’s cellar master and gatekeeper of the ancestral know-how that sets the House’s winemaking apart. Winemaking at Moët & Chandon is both a craft and an art. It is the result of a tradition handed down over the centuries and perfected in the able hands of successive generations that have relied on their sense and sensibility and modern technology, to create a champagne that despite an ever-changing nature and fickle harvests, remains true to a distinctive, recognisable and beloved taste. In 1869, Moët & Chandon chose to create a brut non-vintage champagne named “Brut Impérial” – known today as “Moët Impérial” – to pay tribute to the relationship established since 1801 with Napoléon Bonaparte and Jean-Remy Moët, grandson of the House’s founder. Timing its launch to coincide with the 100th anniversary of the Emperor Napoléon’s birth, Moët & Chandon set the stage for the continuous rise of the iconic Moët Impérial armed with an unrelenting spirit of conquest. At home in royal company, Moët & Chandon became an official purveyor of champagne to Queen Victoria at Buckingham Palace. 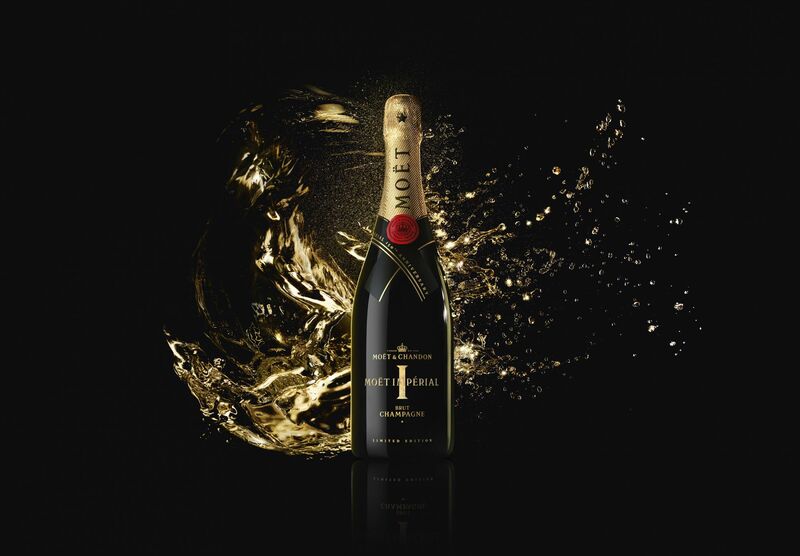 Moët Impérial stepped onto the world stage in 1900 at the Paris World Fair. German Emperor, Wilhelm II, chose the French House’s iconic cuvée for the christening of his yacht, a grand gesture in line with a global tradition of christening boats with a bottle of champagne. French actress Dany Robin was among the first stars of cinema to be photographed savouring a glass of Moët Impérial. Cannes naturally became a new playground for Moët Impérial and in 1960, film legends Kim Novak and Cary Grant were photographed toasting with a bottle of Moët Impérial at a star-studded dinner on the French Riviera. Decades later, Monica Bellucci, the iconic Italian star, signed an over-sized bottle of Moët Impérial at a charitable event initiated by the House in Cannes. Moët Impérial first rose onto the sporting stage as a symbol of joyous celebration when in 1967, racing champion Dan Gurney, spontaneously sprayed champagne from the winner’s podium in the small French town of Le Mans, starting a lasting “champagne spray” tradition on the world’s racing podiums. The racecar driver Jackie Stewart took the relay in perpetuating that tradition with a spray of Moët Impérial to celebrate his own victory at the 1971 British Grand Prix. The happy few who raised their glass to the rare privilege of partaking in the maiden flight of the supersonic Concorde, did so with Moët Impérial served with a first course of Sevruga caviar. Music and champagne were the perfect pair when Studio 54 opened its doors. Moët Impérial celebrated New York’s high-life, as over the years, A-list stars from the worlds of film, music or fashion, like Woody Allen, Jerry Hall, David Bowie, Lauren Bacall and Diana Vreeland were whisked past the legendary nightclub’s velvet rope. The father of Pop Art, Andy Warhol, who documented the dazzling New York nightlife with black and white portraits of his celebrity friends captured by his own camera, was often photographed himself in famous company, sharing a bottle of Moët Impérial. Catherine Deneuve in her quintessentially French elegance posed holding a generously-sized glass as Moët Impérial was poured at Paris’s Club 78. Since 1992, when it first took a front row seat at the Golden Globes Awards, the flagship champagne of Moët & Chandon has celebrated the achievements of Hollywood’s royalty and created memorable cinematographic moments. In 2006, Moët & Chandon fêted the 120th anniversary of the Statue of Liberty while also marking important personal milestones when, for instance, Moët Impérial was chosen to celebrate Paul Newman’s 40th birthday in intimate company. The Maison first sponsored the America’s Cup, Moët Impérial toasted the spirit of sportsmanship on the open seas, a spirit that lives on today on the tennis courts through the House’s brand ambassador, Roger Federer, in a perfect partnership of two legendary icons of timeless style and global success. Scarlett Johansson became the first Hollywood star to grace Moët & Chandon with her likeness as ambassador for the Maison. To mark the 150th anniversary of Moët Impérial, Moët & Chandon unveils a limited-edition bottle inscribed with a redesigned logo that erects the “I” of “Impérial” into a new symbol for its most emblematic champagne. A crowning tribute to the precious 150-year history of this remarkable champagne, “I” is a badge of honour on this historic milestone that “must be” celebrated in the grand style for which the House founded in 1743 is known. Imperial in grandeur, historic in trajectory, authentic in flavour, Moët Impérial is recognized today as a symbol of what the Champagne region brings to the world, a “must be” component of life’s memorable moments. To know more about Moët & Chandon, you can visit: moet.com.